In 2012, a municipal sewer line in Tarrytown, New York burst and sent a torrent of black water flowing into the Hudson River. I’d like to point out how serious a black water leak actually is. The term refers to water that contains human waste. This is in contrast to grey water, which is water left over from washing processes such as showering or washing clothes. A black water leak is the most dangerous type of plumbing leak due to the risk of spreading disease. The city had crews working around the clock to shut off the leak. After the flow was stopped and the damage repaired, the city authorized $14.6 million to upgrade the three miles of sewer line in the area of the leak. Catastrophes like this are not limited to large city water systems. Ordinary homeowners like you and I can find ourselves dealing with an overflow of raw sewage, albeit on a smaller scale. Homes with septic tanks are particularly vulnerable to such a situation. Septic tanks are designed to allow liquid waste to flow out while the solid waste settles at the bottom. Most of the solid waste is broken down by bacteria and flows out with the liquid. However, a small amount always remains. This remainder turns into sludge and gradually builds up at the bottom of the tank over time. This is why it is important to have the septic tank pumped out every few years. How often this must be done depends on the size of the tank and how many people live in your household. Installing a sewage backflow valve is another easy way to prevent sewage overflows. This is a special valve that only allows water to flow in one direction. Should the septic tank become clogged, sewage will be prevented from erupting out of the toilet and into your home. There are many different sewage backflow valve designs, some more expensive and complex than others. You should contact a professional plumber to find out which design is best for your home. It may seem like an expensive inconvenience, but believe me when I say that taking preventative measures will be much cheaper and easier than dealing with an overflowing toilet. The first concern is the health risk. It is not safe to live in a home inundated with raw sewage. Even if it is isolated to the bathroom, the entire house will still experience higher levels of airborne pathogens. There will also be extensive water damage to the flooded area, which will be greatly exacerbated by the fact that it is raw sewage. Even after the sewage is cleaned up, a revolting smell will linger in the area until it is removed by a restoration service. 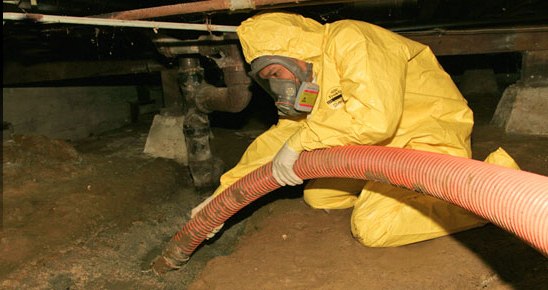 If you are dealing with a sewage overflow, it is crucial to call in the professionals. Special equipment and methods are necessary when dealing with raw sewage; it is not a DIY job. They will be able to stop the overflow, clean up the mess, and restore your home to a livable condition.